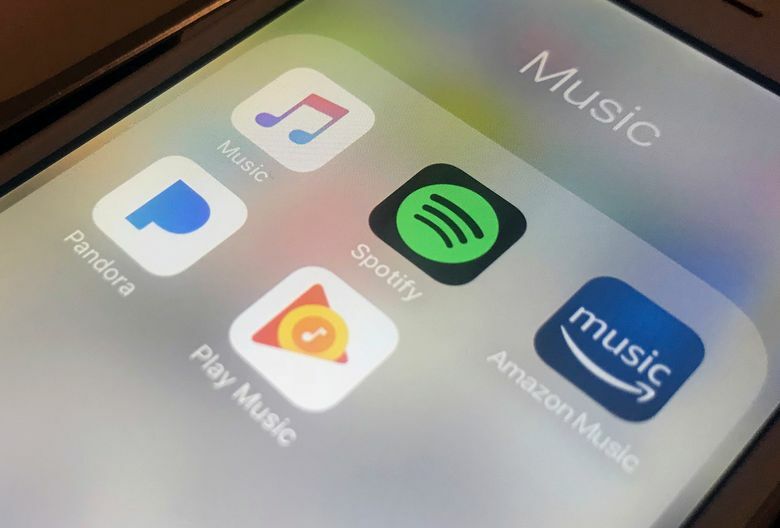 SAN FRANCISCO (AP) — A federal copyright board has raised the music streaming royalties for songwriters and music publishers by more than 40 percent to narrow the financial divide separating them from recording labels. The decision announced earlier this weekend by the National Music Publishers Association stems from a dispute pitting songwriters against steadily growing music streaming services sold by Spotify, Apple, Google, Amazon and Pandora. The Copyright Royalty Board’s decision will require those services to pay 15.1 percent of their revenue to the songwriters and publishers, up from 10.5 percent. The music publishers association hailed the ruling, even though the trade group estimates recording labels will still be receiving $3.82 for every $1 paid to songwriters and publishers. Even so, that still represents “the most favorable balance in the history of the industry,” said David Israelite, president of the music publishers association. None of the major companies affected by the new music streaming royalties responded to requests by The Associated Press for comment, leaving it unclear whether the shift will prod any of them to raise the prices paid by consumers. The popularity of music streaming services has soared in the past few years as more consumers have embraced paying a monthly or annual subscription fee for unlimited access to tens of millions of songs instead of incrementally buying a more limited amount of music on CDs or in a digital download. Those changing habits have pushed artists, songwriters and publishers to step up their efforts to get a larger cut of the royalties generated from music streaming — a format that didn’t even exist when some performers signed their last record deals years ago. The Copyright Royalty Board drew up the new rates for songwriters and publishers after hearing evidence during a trial last year. “Songwriters desperately need and deserve the rate increases,” said Bart Herbison, executive director for the Nashville Songwriters Association International, another trade group. The new royalties seem unlikely to faze Apple, Google and Amazon — all of whom rank among the world’s richest companies and operate their music streaming services as complements to other products that generate most of their revenue. The new royalty systems could leave a bigger financial dent in smaller and less diversified companies such as Spotify and Pandora, even though both are music streaming pioneers.